This styling was something that I really loved. As always when it comes to picking style themes for Ferosh, the editorial team is allowed only their 1st choice and then then we take whatever’s left. Unfortunately this was not my first choice, or my second choice, or any choice! It was a last minute decisions to do it as another stylist/photographer had gone missing and didn’t complete the editorial — I rocked up with the Ferosh Upper Management to take a few shots just to fill in the space.Once we got started, it turned out to be an amazingly fun style adventure and now I am obsessed with all that is Western! I’m so very excited to share a project that I’ve been working on for several months. Though I spend an abundance of personal money doing this project, I find that the rewards are so great. I’m able to work with an outstanding group of people and able to share my love for fashion and photography :) Though my blog has slowed down quite a bit, I am super excited to share these two books as I venture into videography, graphic design, and in the near future creating mesh clothes! (Goal for 2015). As I’ve stated in a few of my blog posts in the past, especially dealing with circumstances that I find sensitive, I would like to state that this is the first and last time I am speaking about this. It does seem that every 6 months or so, somebody comes out of the woodwork to try to bully me, defame me, or humiliate me. I have a right to defend myself. I have a right to voice my opinion, and to share my side of the story along with sharing some truth behind all the mischief. I have a right to protect my name both in SL and in my Real Life. I have every right to defend my -character- and ethics. Recently my name, Absinthe Montenegro, and the brand that I created for myself in SL through years of hard work, dedication, and money has been under attack by an internet personality named Thalia Heckroth. However, because this ordeal has taken a stark right turn into dealing with reality, I will still respect her by not using her real name. — I am not creating a “lynch” mob, or asking people to pick sides. I would really like for people to leave Ms. Heckroth alone. However, as she made this a very public affair by trying to humiliate me, I am allowed to defend myself. Remember, she started this. So let’s take this to the beginning. Shall we? Sometime in April I got with a dear friend of mine, Eira Juliesse, and we were both chatting about the abundance of awesome clothing we had from a particular store in SL. So, we decided that we’d make a fashion video about it. We spent weeks matching our looks, comparing what we had, and picking accessories. Eira even made the poses. From there, it only made sense to shoot our video on the sim where the store was located. So after contacting the owner, we received permission to shoot there using his products. The sim is a beautiful desert setting (one of the best in SL) and is a popular location for bloggers and machinamist to use for their work. We spent over a week gathering our film, as we were going to make two separate videos, and then I edited my film and posted it up on my flickr. This was the second video that I had ever made and spent quite some time making, and I was very proud of it. This video was a gift to a brand that we love and also practice for us as we are just starting to make videos. We were not making any profit from our videos and we had not been paid to make the videos. I do know of Ms. Heckroth and in fact, I had spoken to her only a few times in the past as we used to have a mutual friend. I had always been very polite and respectful to her, but we were never true friends or even acquaintances. I did not follow her work, simply because she was not on my radar or .. somebody that I cared about. I do believe that her jealousy has helped her to make very poor choices. 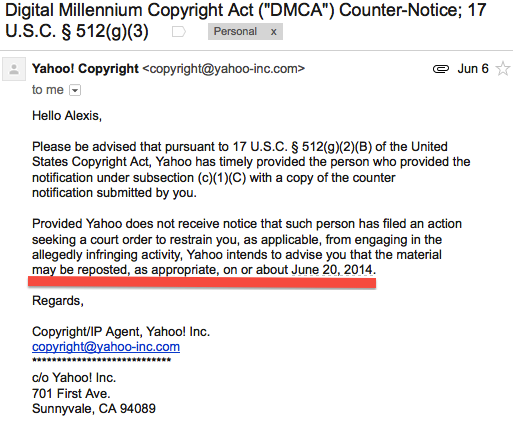 A few weeks after I posted my video, Ms. Heckroth sent a notification to Yahoo saying that I have violated her “copyright” and my video was taken down. Then, I got pissed (you all know me by now. I don’t take being bullied lightly and I have no problems being vocal in order to stand up for myself ) and I stated on Facebook what happened. Then, I posted my video on Youtube after reworking it, because I still had no idea why this person said that I violated her “copyright”. 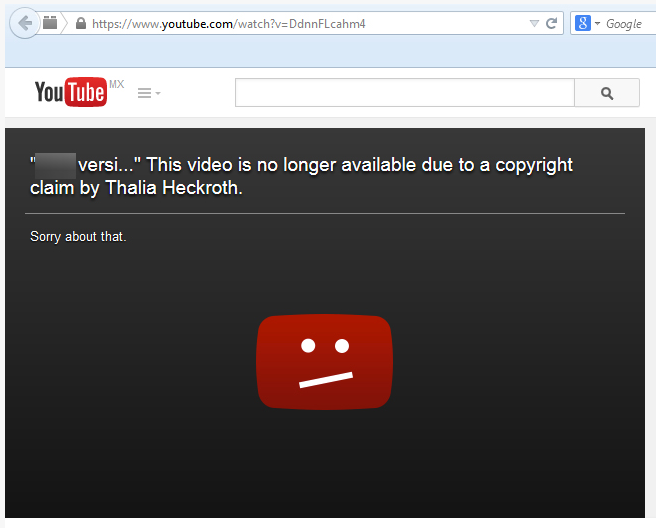 Ms. Heckroth, obviously keeping an eye on my account, had that video taken down as well. So, here’s the truth and the facts. Not some hodge podge evidence to make somebody look guilty in the form of cyber bullying. Where, in all of her evidence, did she show that she made attempts to contact me prior to taking down my footage and filing false copyright claims? Where is the email showing that I blatantly said that I was not going take the virtual meerkat out of my video? There isn’t any evidence, because Ms. Heckroth did not contact me prior to creating this fiasco. I like to think that I am a kind person and I’m logical as well. If she had simply IMed me or sent me an e-mail “Hey Absi. I used the meerkat in my video from ages ago and I think that’s too similar. Would you mind taking it out?” I would have gladly done so! I would have taken out that measly 2 seconds in a heartbeat! I hate to break to Ms. Heckroth and and those who believe her, though this may be shocking. 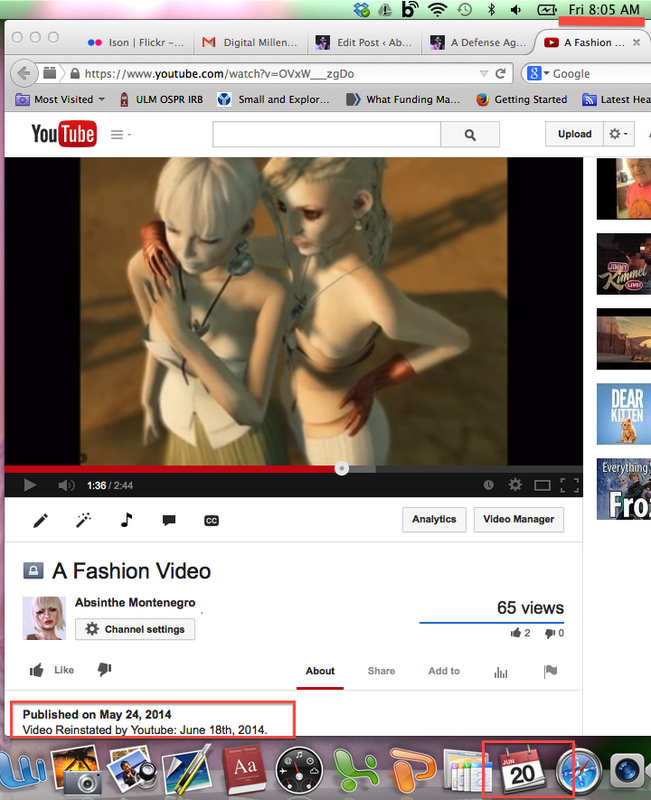 My fashion video was not about virtual meerkats in a virtual desert. In fact, the footage of the accused virtual meerkat is <1% of my entire video footage. 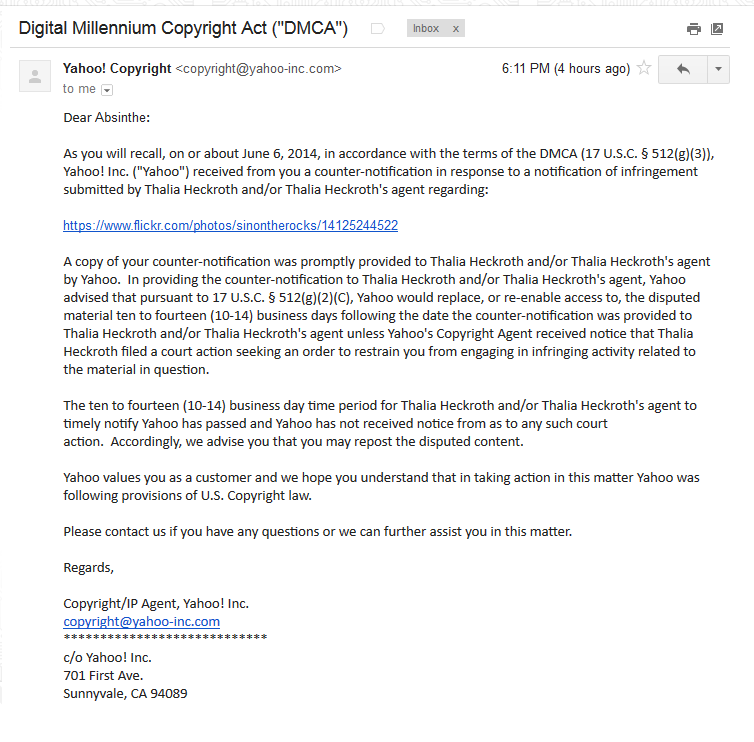 Instead, Ms. Heckroth chose to file false copyright claims against me, and then decided to create a debased and false blog post defaming my name. All of this could have been so easily resolved. (I’ve made copies of the blog post and forwarded the link to my lawyer). She did not contact me to inform me as to why she had my videos taken down. Some people tried to encourage me to contact her, but.. why? From my point of view, I did nothing wrong. I didn’t have the problem, but she became my problem. I feel that her actions were hate filled, deliberate, and on a personal level that astonishes me. 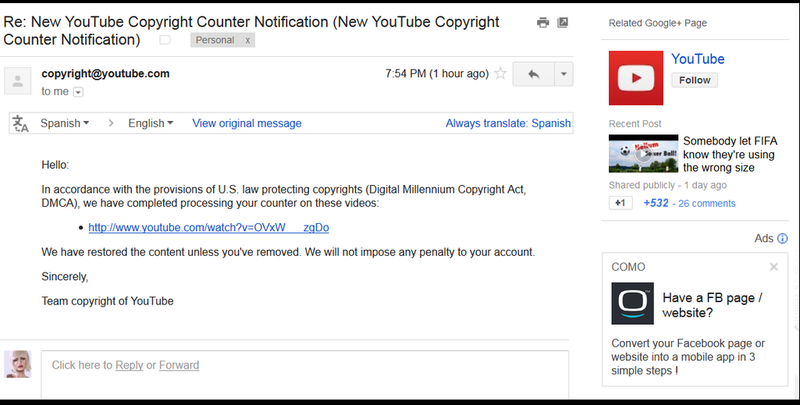 Here is a copy of the Youtube notification that I received and on it she put Video not from Youtube “123”… In a court of law, this is unacceptable if this were a true DMCA filing. From all I can tell, this is a hoax or maneuver to have my video removed by simply writing “123”. This provides no information stating what I violated so that I may communicate back to her, through Youtube, with my response to her concerns. Youtube does provide space and highly suggests that the person filing states what exactly about the video is violating their copyright. This was a great place for her to say “You used the meerkat! How DARE you! Take it out!” — and then in response to her I could have agreed to do so, and then she could retract her false filing. This is not the case and I believe Thalia wanted to shut my ENTIRE video down… not just our famous virtual desert friend. This suggests that I copied Ms. Heckroth’s entire video… when, in fact, I did not copy any of it. 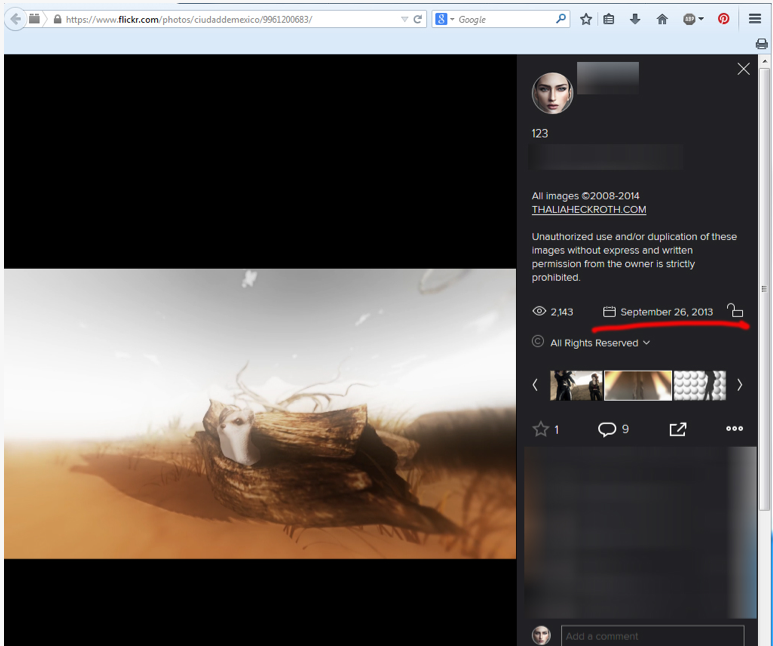 And coincidentally, she renamed her video on Flickr to reflect this “123” in her false copyright claim. I have also sought the advice of an excellent copyright lawyer several times about this ridiculous case. All of which, when she bursts into a fit of laughter, makes me feel better. This is not public opinion, but within our US Constitution in our copyright laws. If I am going to be fearful of this document, I would first need to see the DATE of the copyright. It’s conveniently blurred out. Okay… So then share the FULL registration number on the certificate to show that this legal document hasn’t been forged or tampered with? The fact is that this document has no evidence on it to say that the “copyright” is of legal standing and has not been tampered with. Furthermore, this leads me to think that this copyright was filed -AFTER- I created my video and published it, which makes this entire ordeal even more petty, ridiculous and a waste of time. If it’s not, then she should prove it, since she likes to share “evidence”. 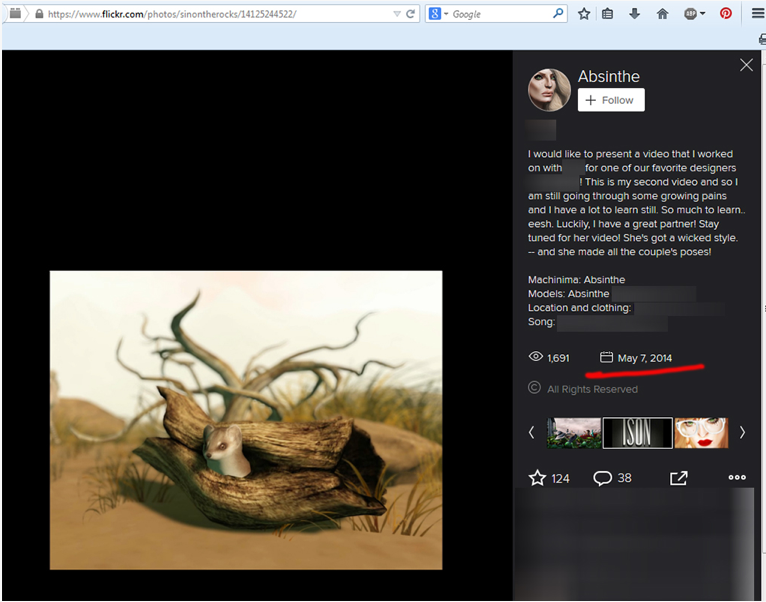 From Thalia’s blog post, referenced above. Here is where Ms. Heckroth threatens to bankrupt me by taking me to court in a very backward way. She acts as if I will be forcing her hand to to take me to court, and she really really doesn’t want to (which is doing me a favor.) This feels very manipulative and threatening. Then says she’d hate to do it because this is a video game … This woman would be willing to come to a US Court of Law, pay all the legal fees, sit in front of a Federal Judge, over a virtual meerkat in a video that takes up <1% of my footage? Shouldn’t it be that … because this is a video game, Ms. Heckroth should be confident enough in her own work that she would leave me alone and not make false allegations against me? Because this is a hobby… she would have contacted me from the beginning so we could have spoken civilly about it instead of filing false claims and creating blog posts meant to damage my reputation? This threat, which I have documented and sent to my lawyer, is very evident. Ms. Heckroth made this entire situation very real and it doesn’t stop there. In addition, this is a threat, because she wants me to be quiet and not stick up for myself. This is not enough to claim copyright infringement. As stated above, the virtual meerkat in my video takes up less than <1% of my entire video footage. Okay let’s be more factual. The accused virtual meerkat makes it’s appearance at the very end of my video (I needed filler) for 2 seconds. So, the virtual meerkat in this position, bless him, only appears for .0121% of my video. Secondly, I suggest that Ms. Heckroth understand more of US copyright laws, because she does not have copyright on an angle. I will admit when I first saw this post, before sending it to my lawyer, I was shocked at how similar the shot is, but also… this is a screenshot. There’s no telling what her virtual meerkat does in her footage, what it does in my footage, and where the camera moves afterward. Basically, this 1 second shot is what she’s filing a false claim over. Clothing. Different — the brand was different where we used several clothing from one store and she used clothing from a different store. Location: Same, but video shots are in different spots on the sim. How many movies are shot in the same location? How many movies do you see a car driving down Route 66 in the desert? How many people have shot pictures on the same sims in front of the same light house? Wearing different clothing, but the lighthouse was the same? That does -not- give somebody a right to slander somebody with copyright infringement. To make matters worse, Ms. Heckroth had my footage removed so as she spread her false claims and wicked accusations about me, there was no support (or visual evidence) on my behalf to show just how petty and ridiculous her claim was (though I did find her post really really self-incriminating.) 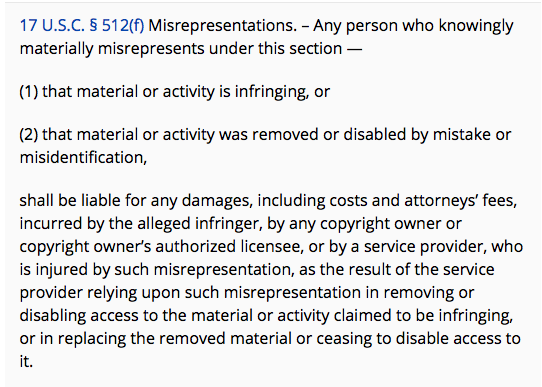 You cannot claim copyright on an angle of an object that you do not own, confirmed by my lawyer. You cannot claim copyright infringement on my own video footage. IF Ms. Heckroth has a copyright on her video, it is just for her actual video footage, of which I did not use -any- in my video. I have all of my original content, footage and tapings for evidence. And even then, if you look at the screen captures, the angle that I used is -not- identical. The only person who can sue, in this case, is the owner or the designer and creator of the virtual meerkat. Her incriminating, and defaming opening post as referenced above. By starting off her blog post like this, I can only think that she wants to mislead readers about this situation and make it appear bigger and more treacherous than it actually is. Everything from her title, to the paragraph before is blatantly WRONG and false. The fact is that I did NOT copy her work. The fact is that I am innocent and that I am being attacked through a very vicious, manipulative means of cyber bullying. Fact #7 — The truth behind Youtube and Flickr copyright removals. So. Some people think that Youtube and Flickr sided with Ms. Heckroth because “they agreed” to take my video down. I will quickly educate you on how this process works and also explain the newest form of cyberbullying that’s taking our internet by storm. When you file a copyright notification on Youtube, or Flickr, the content automatically comes down. Everything is automated. They do not investigate to see if the claim is false or say one person is right or wrong. 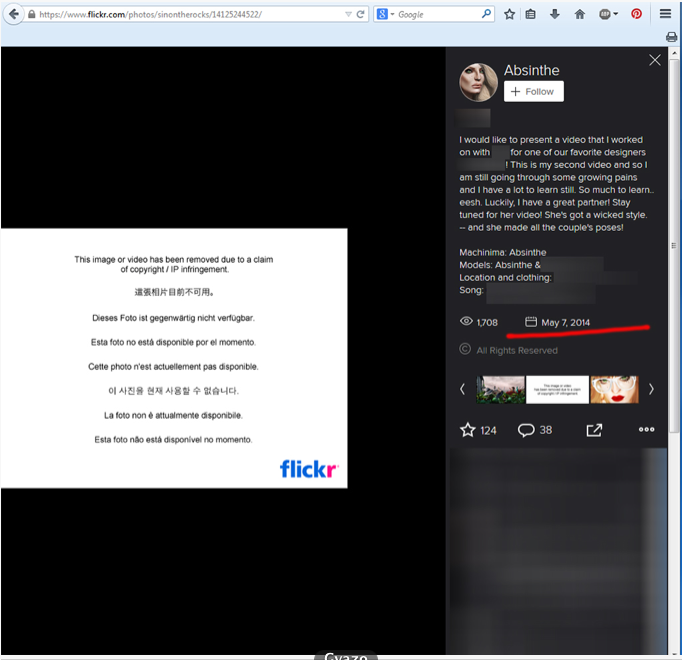 Ms. Heckroth presented this information in a way that made it appear as if Youtube and Flickr agreed with her, when that was not the case. Youtube and Flickr acts as 3rd parties in facilitating the establishment of Federal Court cases between two parties — they do not have an opinion in any way. Once a person files a copyright notification against you (even if it is false which the majority are these days) your content will come down automatically. You then have an opportunity to fight it by filing a counter-notification. 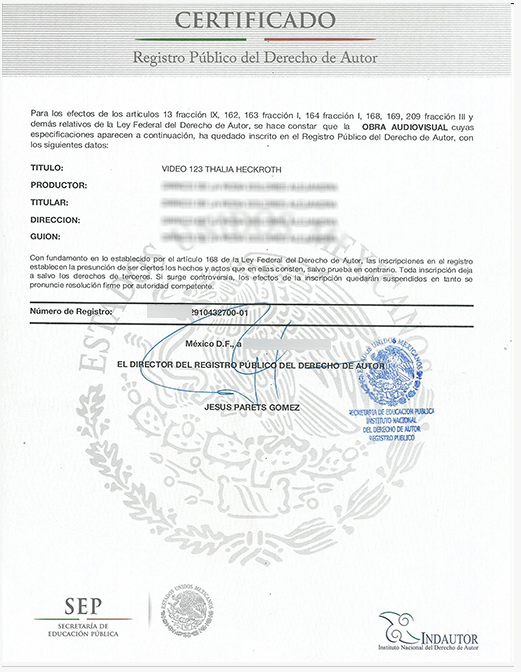 This counter-notification states that you did not copy another person’s work, that everything in your footage was fair use, and that you are the owner of your product. This process is very time consuming, especially in my case as Ms. Heckroth’s blog post has been published for quite some time. It takes about 1 week for Youtube and Flickr to accept your counter notification, then a few days for them to send the counter notification to the complainant, and then they have 10-14 business days to file in US Federal Court against you, and THEN a few days after that before they reinstate your video. All in all, it is a process that takes a little over a month and a half — just to clear your name. 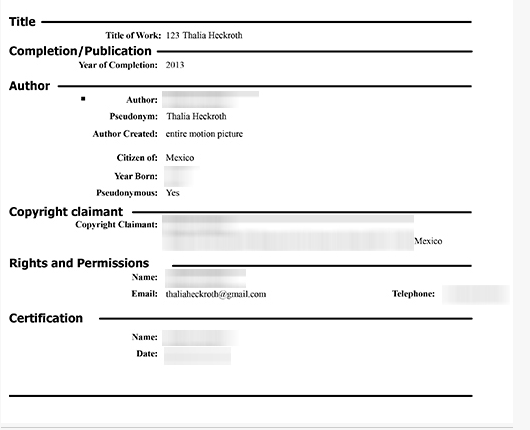 By filing a counter-notification against Ms. Heckroth, I also had to put my real life name, address, and phone number on the document — to which Youtube and Flickr carelessly forwarded to her without further investigation of the false claim (something else my lawyer is looking into). So, not only was I being harassed by this woman’s false filing and blog post, I also had to give her my information. This is the part that was absolutely devastating to me. Though I do not have much to hide with my real life, I deserve privacy and safety just like everybody else. I deserve safety from seemingly mentally unstable people on the internet. My enemy, which is who she has established herself to be, should not be in possession of this. However, this is not a one way street. Because I have invested in this situation, I also have her real life information as well. You cannot expect Youtube or Flickr to be the ones to give that to you. Their systems are flawed and are abused daily. There are a plethora of blog posts and complaints on the internet asking for Youtube and Flickr to change the way they handle copyright, simply because there are people, like Ms. Heckroth who are abusing the system. It’s important for people to refrain from sending unsubstantiated takedown requests lest they face monetary damages and other court orders. There are also criminal sanctions available for false DMCA takedown request senders since the requests are sent under the penalty of perjury. Fact #8: Youtube and Flickr Restores my videos. Evidence. Thank goodness! However, I have made my Youtube video private for the time being as I am still seeking legal consultation. I am still waiting on Flickr as today is the 20th of June. Due to the hundreds of thousands of false claims these companies get per day, I fully expect my video to put up again in the near future. I have yet to receive a court order by Ms. Heckroth and it has been 10 days. I’ve held my tongue and waited long enough to address this. I want to put it to bed. ———————-Update ———————- Yahoo puts my footage back up. This was a personal attack against me. This had nothing to do with proper DMCA copyright violations. 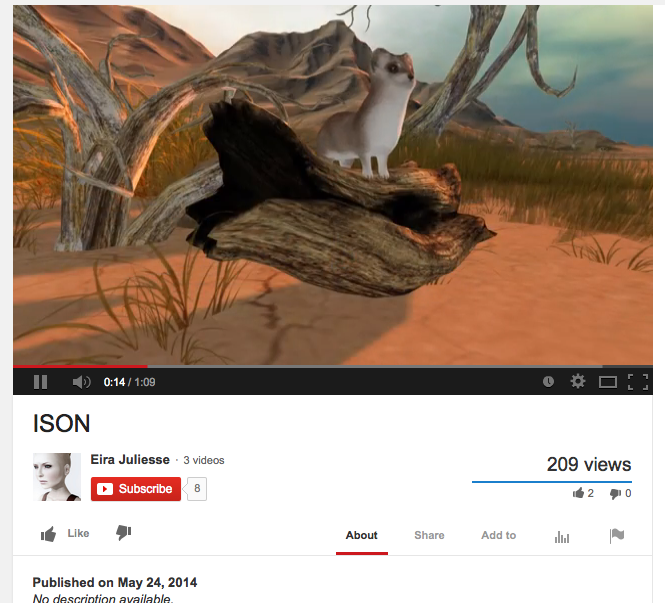 My good friend Eira posted her video on Youtube as well and her video has not been touched. We both filmed our videos at the same time and we did our own editing. Eira’s video has been up for … days. and yes.. our famous virtual meerkat makes it debut in this video as well. I will say that her video is stunning and an excellent piece of video work, so please go check it out and give her props. She’s amazing! This was a project that we both enjoyed and were happy to do together. All of this could have been avoided if she would have had the common courtesy to have approached me before hand. I think that of all my poor experiences in SL, this is one of the biggest I’ve had to encounter because somebody has taken things to the next level and wrongly threatened my real life on such a severe scale over a virtual meerkat. To make these threats and file all these false claims takes time, effort & energy and is a violation of our US Constitution. This was a deliberate act in attempt to damage my reputation. And, if Ms. Heckroth had done her homework by reading the US copyright laws, she would also know that she’d get very little money from me in the INSANE chance she were to win this court case. The video that I made was not for sale and I did not make any money from it. Instead, I am every bit confident that I would win this, and then also sue for compensation for all my lawyer and court fees, for her filing false claims in Federal Court, for emotional distress, and for time missed from work. I think this is all so illogical and so ridiculous to have to go through when a simple email or IM would have completely avoided all of this ugliness. Who wins in the end? To what purpose would this serve? This is a hobby, right? I have never ever been attacked like this before and I have found it to be very upsetting. This past month has been another dark part of my SL, however I want to thank all my friends and family who support me. All the people who decided that what she was doing was wrong and ignored it. All the people who continued to be my friend.. despite what looked like a good opportunity to kick a girl when she was down. I have lost some more “friends” through this situation and I have been rebanned from sims and so forth. But, at the end of the day, I am never going to sit on my hands and let somebody push me around. I have been provoked into action. Through all this, I hope that Ms. Heckroth will learn that she can’t bully people by threatening their real lives over false DMCA claims and pettiness. I hope she learns that petty hate filled acts and showing damaged or manipulated evidence is wrong. I hope people recognize that her behavior, no matter how righteous she may think she behaved, was very very very poor and cruel. Just.. simply.. cruel. I do not want people to bother her, or to IM her. But, use your own minds and make your own decisions. Second Life is a place where we are allowed to be anything we want to be! We can build, we can play dress up, we can make videos, we can be fashion models or animals! We are allowed to be creative and to simply have fun. We’re also given a chance to be better people– better than we are in our first life. We’re given a second chance to be kind to people, to help them when they are in need, to be strong and better than we are in our first life. To squander it on hate filled acts and pettiness that threaten the real lives of others is such a waste. I would like to be one of those people in Second Life that can just do their thing and people leave them alone, but I just don’t think that will be the case for me. I will say this. I will not sit back and get bullied without sticking up for myself. I am not going to let somebody violate me in this manner without speaking out about it. 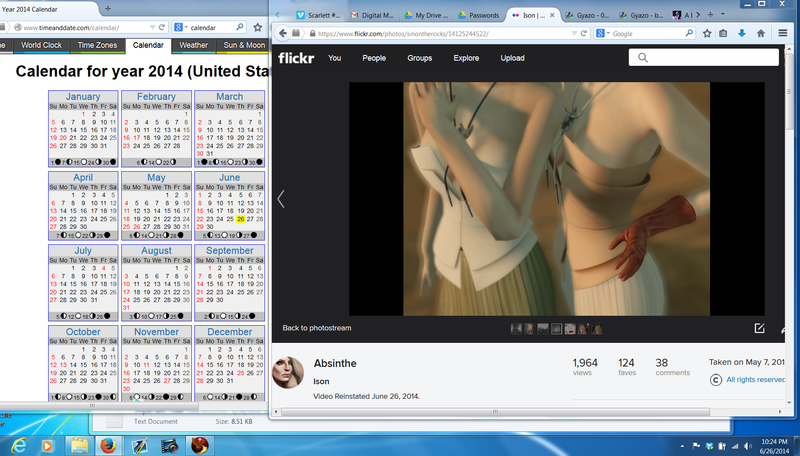 I have never done anything to Ms. Heckroth, and I never had anything to do with her in Second Life. I hope that she will stay in her playground and leave me alone, because I have absolutely no desire to have anything to do with her. I hope she moves on from this and will remember that I will fight back. I have disabled comments, because frankly… I don’t need a pat on the back or a kick to the shin. This situation is very, very serious and frightening when Second Life should be a place where we all can have fun and enjoy our virtual experience.